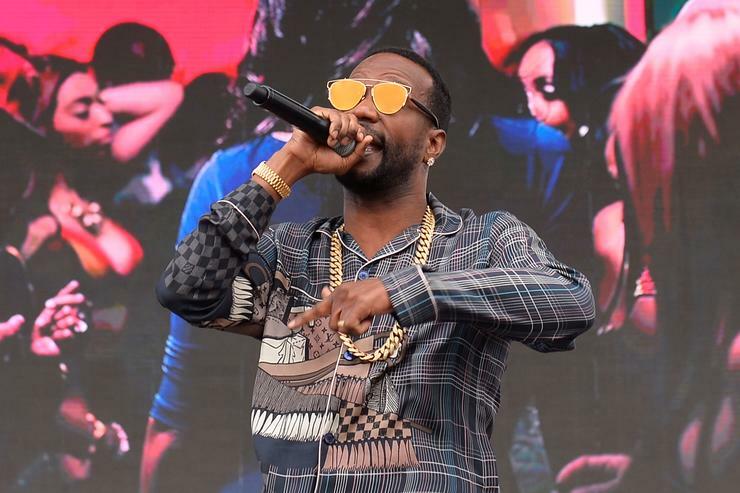 Juicy J has been relatively quiet over the past few months, last hitting us with a “Who Run It” freestyle back in April, but it looks like his drought will soon be over. On Friday night, the T.G.O.D rapper jumped on Twitter and informed followers that he’s dropping a new single with Travis Scott next Friday, September 28th. There’s no other added info about the single, like what it’s called or who produced it, but the idea of a new Juicy J x Travis Scott single alone will be enough to get fans hyped. We’d assume the single could be off Juicy’s next project, but that’s just speculation off a feature like Travis Scott. This won’t be the first time Juicy and Travis work together either. The two previously linked up on the song “No English” off Juicy’s Rubba Band Business: The Album last year, before he was credited on Travis’ “Sicko Mode” record as well. Fans of Juicy J will be happy to hear that Travis Scott isn’t the only rapper he’s been working with. Just the other day, Juicy J was spotted in the studio with Kevin Gates cooking something up, which we presume is another possible collab off his forthcoming project. However, we’ll have to keep you posted on that.